No oil, no butter, no baking required. There’s much to love about these no-bake cookies, they are healthy, dairy-free, egg-free, gluten-free, vegan, and they taste great too. I originally saw these on Snack Girl and decided to give these a try. The verdict is a moist, chewy dough-like cookie. I almost want to call them chocolate cookie dough balls. Perfect for many dietary restrictions. Add dates, cocoa powder, honey, and water. Mix until it forms a sticky mass. If it seems too dry, add a little water, 1 tsp at a time. Wash hands and using damp hands (keep sink running) measure 1 tbsp and roll into a ball with the dough. Set balls on parchment paper. Put confectioner’s sugar in a bowl. Roll balls in your hand and then roll in sugar. Although these are somewhat high in points, they are very good! One all by itself with a cup of coffee makes a satisfying dessert. I left off the powdered sugar (they don’t seem to need it). I used chocolate protein powder instead of cocoa powder and they came out great. My husband likes high protein snacks. I also noticed adding a little water to your hands when making the balls helps smooth them out a bit. Otherwise, it gets a little sticky and they start to lose their roundness. 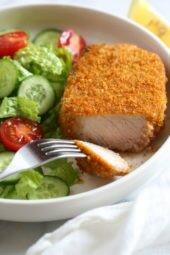 I’ve been following the site for years now, but this is the first recipe I have reviewed. These are absolutely amazing! I did use ground almond meal (1 1/4 cups)instead of grinding my own. These are quick, one-bowl, and relatively mess-free. So happy I tried these out! My kids (6 and 2) loved these too. Awesome! Love to hear it! Wondering how it would taste without the cocoa pwd, I love the taste of dates and almonds. Also, do you know the weight of the cup of almonds, in case I just buy the already ground ones? 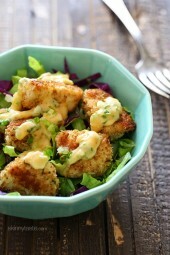 I've been following the site for years now, but this is the first recipe I have reviewed. These are absolutely amazing! I did use ground almond meal (1 1/4 cups)instead of grinding my own. These are quick, one-bowl, and relatively mess-free. So happy I tried these out! My kids (6 and 2) loved these too. We love these at our house and make them once a week, at least. Super easy to make, but I always need a lot more water than the recipe calls for. I had dates sitting in my fridge for very long and had no clue what to do, when i came across this recipe on pininterest. fortunately I had all ingredients ,to which I think was my lucky day. My kids loved it and it amazingly easy. I just made these and they are great. The only change I made was to roll them in fine no sugar coconut instead of the powdered sugar. That worked well. Can these be frozen and then thawed to enjoy later? Im guessing that would work right? I wonder if I could "cheat" and make these into cake pops by putting a stick in them??? Thoughts to make this possible? These are wonderful! I used slivered blanched almonds since that is what I had on hand. Mine were not runny at all and taste so much like fudge! My boyfriend did not believe that there was no added sugar (other than the powdered). He kept insisting that the chocolate had sugar in it until I showed him the jar that clearly said "unsweetened." I also tried them before adding the powdered sugar and I thought they tasted just as good, although they certainly look prettier with the powdered sugar coating. Thank you Gina! Hi Gina, I just made these and thank you! They are rich, delicious, and so easy to make – all the ingredients are kitchen cupboard staples for us so that saved me a trip to the shop. Oh, instead of whole almonds however, I used almond powder/meal and it worked perfectly fine; also saved me from having to pulse them. I did chop the dates first and then pulse them a bit more. Some of the dates were sort of dry but no problems whatsoever with stickiness. Thanks again! I just made these and they were delicious! They actually satisfied my brownie craving, which is insane considering my love of fattening gooey brownies and the fact that these are made of nuts and fruit. I subbed roasted salted pecans for almonds and raisins for dates because I had them on hand. I actually don't like raisins that much and these were still ridiculously good. I can't imagine how delicious they would be with dates, as it seems from the comments that there was no flavor from them. One thing to note though is that it definitely is necessary to coat them with powdered sugar. When I tasted them without it they were way too bitter, like dark chocolate that is way too dark. Thanks Gina and Snack Girl! I noticed not many shared much about actually "making" these treats… But let me tell you, I made them and my whole family LOVES them!! They are amazing and I can't believe how great they taste.. Taste nothing like your eating a date… a great chocolaty snack!! Feels like your cheating.. haha 🙂 Great Recipe!! Gina, I made these last night for my son's girlfriend who is vegan. I substitued agave for the honey as I know she would not eat honey. They were fabulous! I ate four!! I have to make more tonight so her present looks substantial enough. 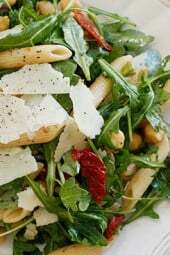 I've been following your site for a year now and have a stack of your recipes in our regular weekly rotation. Everyone loves your ideas!! And thanks for all the cooking tips…I finally can call myself a good cook!! So glad she liked them, I am updating that as we speak! I think I used the wrong kind of dates or something. Because after adding all the ingredients my batter was totally dry ad powdery had to add tons of extra water and honey and even then when it was finally "sticky" the balls were very crunchy. They sounded good, but I must've screwed something up. Also my food processor is small so I ground the almonds and dates up and then mixed everything by hand in a bowl. Made these today, had lovely juicy Medool dates, so added only a few drops of water…the sugar has melted on some but not all, so we are saying we had snow flurries rather than a snow storm! Delicious, am taking these to my Swiss holiday party tomorrow! Is honey really not Vegan? That seems weird to me becaue it's made BY bees, not FROM/OF bees. hmmmm…. I don't have any whole dates. I do have chopped, but how many grams/ounces would I need to get the same equivalent as fifteen? If you can't have nuts a great substitution could be oats–even could use GF if you want them Gluten Free! Just process them the same way you would the nuts. You might need a little extra honey/liquid in this case though! I can have nuts but wanted to cut down the calories so I am using half cashews/oats. I want to use Figs…can they be fresh or must I use dried figs? Maybe add ground nuts or something to absorb the moisture? I just made these using figs instead of dates, did not add any water and is way to wet to roll in the sugar! I have put the mixture in the refrigerator for the time being hoping that if it were to firm up a bit it would be easier to roll in the sugar. Any other suggestions on how I may be able to salvage all this mix????? I'm crazy about these! I can't wait to try different combinations – next time I think I'll try figs and walnuts. Mine were slightly bitter at first, maybe because I had to roast my almonds because they were raw. After they chilled, they were delicious! A great pre-workout breakfast or snack when paired with a banana. It's true that you can't taste the dates at all – they're just sweet and slightly chewy. I left mine out for 2 hours before I rolled them, but most of the sugar still melted after I put them in the fridge. Still delicious though! I'm not sure if it's the combo of chocolate and almonds, but my husband thought they had a similar taste to Almond Joys, he couldn't believe there wasn't any coconut. I JUST made these and am already in love. 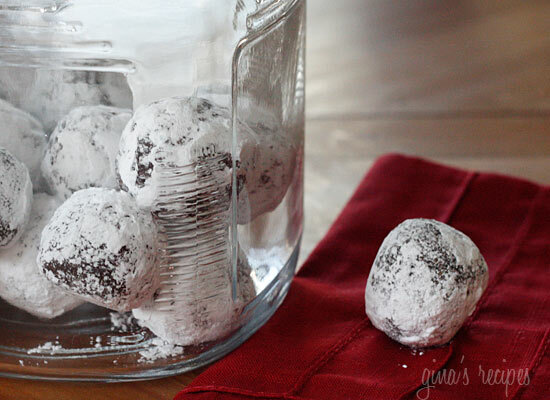 i can't wait to experiment with these… add instant coffee to the recipe and you have mocha balls. yum. or omit the chocolate and use dried pineapple, mango and papaya for a tropical feel. dried cherries and cocoa powder and pecans instead of almonds. i am freaking out!! ohh… and add more water! Good question! Maybe a little less! If I use almond meal flour already ground, do you think it would still be 1 c.? 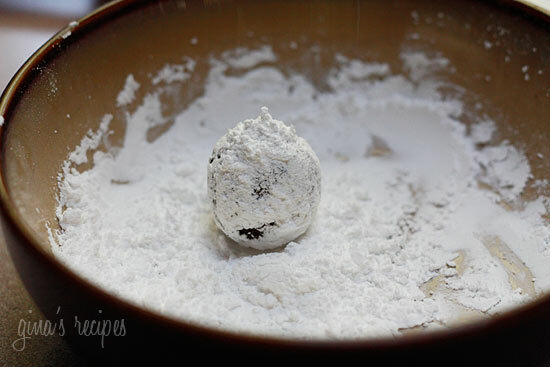 Alternate suggestion to powdered sugar (which I didn't have): I had a bag of "cake in a mug" mix (1 box of angel food cake mix combined with one box of sugar free devils food cake mix), so I rolled the fudge balls in that instead for a sweet chocolaty coating – yum! Oh my. 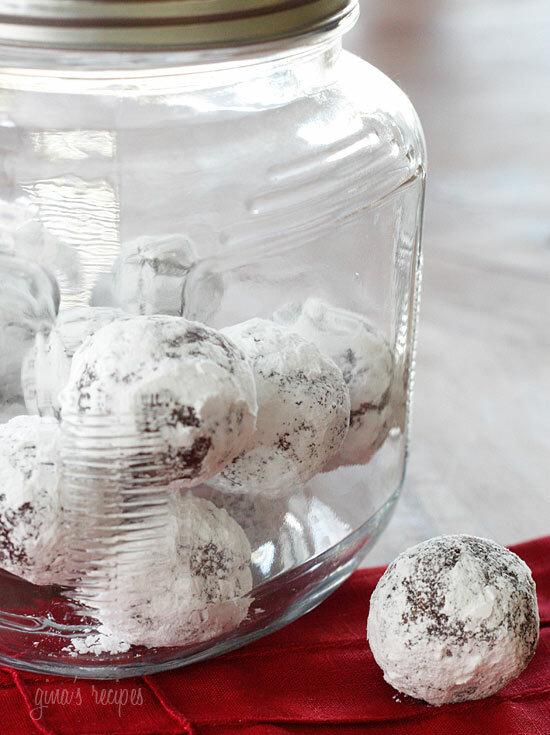 These are delicious, and reminded me of rum balls too….so much that I'm looking forward to when this batch is gone so I can make a batch with rum instead of water. 1 oz of rum is 2+ points, but I don't think it will change the overall points with so many servings in a batch! He's very well trained! lol Thanks for sharing, that gave me a laugh. Gina, so amazing. We just made these today and loved them. Thank you for doing all you do. Without fail, every weekend when my fiance and I are trying to figure out dinners for the week, he ends up saying "just check that skinny gina site." He's well trained! Great! Mine did not but I wasn't surprised. Gina, another incredible recipe! I just made these tonight and my 15 month old loved them! Way to go. I made these tonight, and they were pretty biter. I thought that the confectioners sugar would sweeten them enough, but they were too biter. Any suggestions? Jamie- Good for you! You treated yourself to a food processor! Yes, my hands were a mess making these. Had to buy a food processor and put it under the tree for myself so that I could make these! They are sure messy to roll, but taste so good! The kids didn't care for them, I'm sure they weren't quite sweet enough for them, that's fine, more for me then! These were soooo good! My friend's a glutard (a person allergic to wheat gluten – his words…) and usually can't have any cookies. He absolutely loved and devoured these, as did everyone else who WASN'T allergic to gluten. My only note is that I had to use a lot more water. I attempted to use a blender, but luckily my friend had a food processor on hand (necessary). I let the balls sit a few hours before I placed them in sugar. Maybe they were too wet, which would cause the powder to melt. Mine lasted for days with the sugar. I've never heard of rum balls, don't know how that would taste? I made these yesterday… very tastey… my only issue is that this morning i looked at them and all of the powder sugar has "melted" they aren't powdery white anymore. Made these the other day for my Mum, who is vegan, but will eat honey from time to time. They were a big hit with all my guests, and me. I liked that they are not too sweet. I'm making a few more batches as gifts for friends! Thanks for yet another great recipe. Opps I meant I added half the amount of honey in the last post not DATES! Made these tonight! THEY ARE FABULOUS! I don't like dates but these are great! I actually bought honey dates so I added half the amount of dates. MY biggest mistake was not making two batches, so I will making another batch tomorrow! YUMMY! I was just wondering if they would taste good with a little rum? 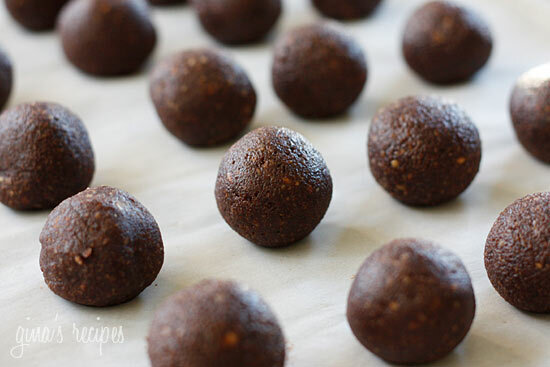 Kind of reminds me of rum balls…of course that ups the points and drop the healthy aspect of these but they are great! You could use Rum flavoring. I used to do that when the kids were little because they would sneak my Rum balls when I wasn't looking. I just made these with 20 fat prunes instead of dates. Fabulous. These looked so good! I don't have a food processor, I do have my old Oster Upright blender. Beware! My machine ended up smoking, literally. The motor couldn't handle the think dates. Upside–I have more cabinet room! Maybe a processor would fit???? Santa??? Made them this evening; my husband loved them! they were super easy to make; they seemed a little loose though so I popped them in the fridge to set. you always save the day from the WW recipe doldrums. THANKS! I'm not sure, when I buy a strong coffee I don't like, I mix it with an inexpensive lighter coffee, and it gives me a delicious cup of coffee! You should try it! Gina – I LOVE YOUR BLOG! I am definitely going to try these this week! Do you think that you someone could potentially add coffee beans into the mix? I accidentally bought a very dark roast bean which doesn't make for the greatest cup of coffee but I have been trying to figure out ways to use the beans so as not to waste them! For the person asking if they taste healthy? They don't taste like dates (which I don't like), they taste nutty fruity and sweet… chocolatey. I loved them, they are moist and flavorful, my picky teen daughter did not like them, so hope that helped. I have made these many times over the last year and I love them. I have also used other kinds of nuts (walnuts and pecans). I only get good results with medjool dates because some other kinds are not moist and sticky enough. 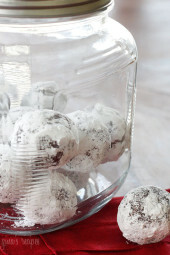 I usually roll them in coconut or cocoa powder and they are like mini truffles. I hate dates and would never eat them plain so that should tell those that are concerned that these taste nothing like dates and everything like fudge. Warning: it is really hard to stop at just one or two. Look at the what it says next to honey (for vegan). Are these really as good as they look? I feel like they might TASTE healthy lol. Any opinions from those who have made it? Or from you, Gina? Thanks for adding the P+ Values- You ROCK! Do you think you could use oats in place of nuts? Maybe toast them and pulse? I use grape nuts in place of nuts & it's cheaper & my family doesn't notice. They love it in anything that calls for nuts. Im not a date fan AT ALL, but they don't taste like dates, more like chocolate. Not sure if the cranberries are moist enough to make these, but I just weighed 15, and it came to 3.3 oz. Maybe figs or prunes instead? I'm not sure if the nuts can be replaced, sorry! I guess these are good for all dietary restrictions except for nut alleries! Anyone have any suggestions? i actually saw a version of these fudgy balls and they used graham cookie crumbs ! I have a recipe that is similar and very good except it uses Rice Krispies instead of nuts. Still adds some crunch. I'm a MAJOR fan of dates, and anything with nuts and dried fruit so these sound amazing! Yum! The dates are really interesting with the chocolate. Never had that combo before. Perfect party dessert! YUM! Reminiscent of a larabar.